For many years, it seemed like employers viewed mature workers as old dogs who couldn’t learn new tricks. But another expression better captures the state of today’s 55+ job seekers: Absence makes the heart grow fonder. After decades of estrangement, older workers and employers have kissed and made up. Both parties are said to be deliriously happy with their renewed relationship. Twenty years ago, less than one-third of Americans over age 55 were employed or looking for work. Today, that figure is north of 40%. In February, unemployment among the 55-plus demographic was 3.2 percent, lower than the overall rate of 4.2 percent. The Bureau of Labor Statistics expects Americans 65+ to experience the fastest rates of labor force growth by 2024. Those statistics are the result of changes, both good and bad, in modern life. Many people are opting to work past age 65 because we are living longer, often healthier lives. A job can be a vital source of structure, purpose, and social connection. Men, in particular, frequently define themselves by their work. 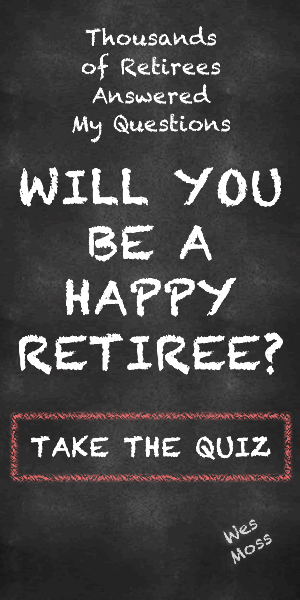 If you enjoy your job, and you are healthy enough to do it, why not work until you’re 70, or older? The current generation of 55+ workers is well educated, which means many of its members hold professional or managerial positions – jobs that are easier on an aging body than factory or construction work. On the downside, not all mature workers are braving their morning commute out of professional passion. Many are still working (or reentering the workforce) because of financial concerns, specifically whether they have enough saved for retirement. Employers’ rekindled passion for older workers also stems from several realities. One factor is the tightening labor market, which is making it more difficult for companies to find quality employees of any age. Once derided by many employers as “old dogs” who could not master new technologies and were counting the days until retirement, older workers are increasingly sought after for the unique benefits they bring to the workplace, including experience, reliability, and face-to-face people skills. Florida insurance company FCCI, for example, says its mature workers are very good at assessing risk and building personal relationships, both of which are vital to the firm’s operations. Companies that value such traits are working aggressively to recruit and retain older workers. Financial powerhouse Goldman Sachs has a “returnship” program that provides 10 weeks of mentoring and training for people who have been out of the workforce for two years or more. FCCI pays 80% of employees’ health insurance and 100% of short and long-term disability coverage. The company also provides new technology coaching sessions. Boston’s Massachusetts General Hospital operates a temporary employment agency for older workers and offers several programs to help those employees obtain affordable health insurance. Related: How Important Is It To Love Your Job? Older Americans looking to extend their work life often decide to make a career change, sometimes applying skills developed in one profession to an entirely different field. A recent survey of 2,078 adults by The Workplace Group, a New Jersey recruitment firm, revealed that 34 percent of those age 53+ consider themselves to be in the early or mid-career stage, and thus open to new work paths. One example: the Atlanta public relations executive who decided in his early 50’s to finally pursue his dream career in law enforcement. Today, he works as an investigator for Homeland Security. Some of these mid-life career changers want to do more socially meaningful work; others are just looking for a new challenge. Both motivations can lead to a second career at a non-profit organization. There’s even a “scholarship” for those looking to make the transition to non-profit work. The Encore Fellowship offers those age 50+ a chance to work at a nonprofit for $20,000 to $25,000. About half of the participants go on to work full-time in the nonprofit sector. Now. Let’s be honest. Older workers still face many obstacles. For every company that sees the value of age diversity in the workforce, many others cling to obsolete notions about mature employees. People age 40+ continue to lose jobs and job opportunities simply because of their age. There were 18,376 age discrimination complaints filed with The Equal Employment Opportunity Commission in 2017 alone. Such complaints have a vital role to play in protecting older workers. But I suspect the marketplace will ultimately resolve this situation. As more companies are discovering, older workers are a resource to be maximized, not a problem to be solved.